Jacob Lee Ruth received six years in prison for a few different convictions, but the sentence was suspended. Ruth must now serve five years of formal probation. If Ruth were to violate the terms of his probation, his prison sentence could be unsuspended. Ruth’s sentence also includes credit for a significant amount of time he has already served in jail. In Dec. 2016, a fire destroyed the SLO High computer lab and damaged an adjacent building, causing a total of about $1.8 million in damage. 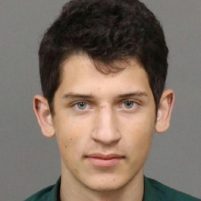 Shortly after the fire burned the computer lab, officers arrested three former SLO High students whom they found nearby inside a car belonging to Ruth. A trial for Ruth concluded last August with the jury convicting him of starting a separate fire that destroyed a portable toilet at SLO High days earlier. The jury found Ruth guilty of one of two counts of burglary and one count of arson. On the arson charge pertaining to the blaze that destroyed the computer lab, the jury hung 11-1 in favor of convicting Ruth. Last month, Ruth pleaded no contest to the arson charge for the computer lab fire as part of a deal to avoid a retrial. Prosecutors said the majority of evidence pointed to Ruth being the individual who started the computer lab fire. Ruth’s co-defendants in the case were former SLO High students Michael Benadiba and Cameron Bratcher. Benadiba is currently serving an approximately 4.5-month sentence in SLO County Jail for his role in the case, while Bratcher has pleaded no contest to multiple charges and is awaiting sentencing. How about putting Ruth on the job with firefighters battling the California huge wildfires as part of his punishment? Even is they don’t get jail time, arsonists should always get 1-3 in a psych ward! This perp ought to be run out of town, and his criminal deeds cost taxpayers $1.8 million dollars. This pathetic ‘soft-on-crime’ sentence by Judge Duffy is typical of progressive libetards, and SLO deserves much better than letting this guy walk free. This case is a wake up call. Typically it’s the D.A. that comes up with the sentence in a “deal” situation such as this, not the judge. Yes, the judge can, and sometimes does, reject the deal but the vast, vast, vast majority of the time he or she won’t as it only helps the judge’s docket move along in a timely manner. So, that would mean it was a conservative D.A., Dan Dow, someone you have given your support to in the past George, that gave this kid a “pathetic ‘soft-on-crime’ sentence”, and not some progressive lion, tiger or bear you seam so fixated on George. I’d get into the economics of this deal and how it would benefit George The Tax Payer, and cost this kid some of his rights, but I believe I’d have a better chance of hittin’ the moon with a tissue then makin’ it understood how this is a win-win for George The Tax Payer and his peers in the community. He could have killed someone. Repeat offender, and he gets iff lite. White privilege? Make them pay restitution on an installment plan, for life. OJ Simpson did kill someone in fact two and got off lite. Black privilege?